Manchester United may have finally found their groove with their new caretaker manager. It’s a new dawn, it’s a new day, it’s a new manager. And Manchester United are feeling good. Since former boss José Mourinho was served his walking papers on December 18, the Red Devils have looked like a brand new squad ready to finally put the past behind them. Less than 24 hours following the Portuguese’s dismissal, United announced that former player Ole Gunnar Solskjaer would serve as caretaker manager. In as little as three weeks, the Norwegian has reignited the spark that made fans around the world fall in love with this revered side. 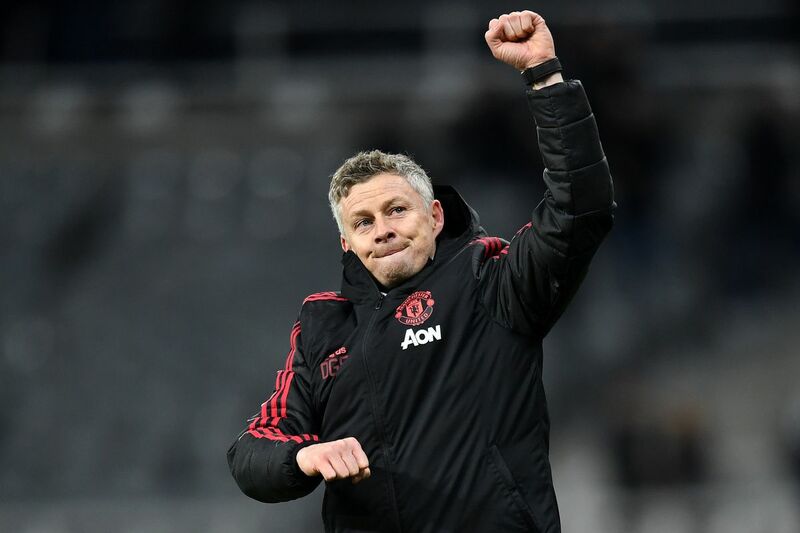 In a feat many didn’t expect, Ole guided his newfound team to a perfect 2018 festive fixture season, the only Premier League team who can claim this triumph during the December/January marathon of football. As it stands, United sit just three points behind Arsenal on the table. Folks, a top-four finish is looking promising. In came 2019, and a fresh start of the year and another test for his men. It was an FA Cup match against Championship side Reading. By all accounts, this was United’s to lose. Extending their unbeaten run to five, goals from Juan Mata and Romelu Lukaku paved the way to a comfortable 2-0 win. Besides the sheer fact that United have returned to winning ways, there are a number of factors to consider why replacing the once-regarded Special One with a 45-year-old former Red Devil is worthy of recognizing. Here are a few. Solskjaer responds positively to gaffes made by his players. Despite nabbing 5 straight victories since he assumed responsibilities, United have still faltered on easy mistakes that separate them from top of the table rival Liverpool. Speaking with the mediafollowing Saturday’s win, Ole acknowledged that his men were too wasteful in possession, but also that the concern could be easily remedied ahead of their Big Six match-up against Tottenham on Sunday. The Treble Winner also went on to say that if his line-up repeated some of these errors, they risk leaving Wembley without all three points. A remarkable note about Ole’s time at Old Trafford has been his method behind using subs. Entering the final 45 minutes desperate for a goal, United looked rather depleted against Newcastle in their final festive fixture. At the 63rd minute, Romelu Lukaku sauntered onto St. James Park for Anthony Martial. It’s no secret the roller-coaster season the Belgian has had in his sophomore campaign at the club, and his dip in form has led supporters to question if he belongs in a red kit. However, those criticisms seemed to take a back seat 40 seconds later. On his very first touch, Lukaku found the back of the net thanks to keeper Martin Dubravka’s mishandling of Marcus Rashford’s free kick. In the 80th minute, second sub Alexis Sánchez would assist Rashford in the deciding goal to bring United’s final count on the afternoon to two goals. Despite both player’s decline in performance, it’s clear Ole’s influence has rejuvenated their fitness. Most importantly, he has turned both into the kind of super sub fans once witnessed him becoming. As with every impending match, the anticipation builds as to who will line up where for the Red Devils. Under Mourinho, it seemed like the only guarantee spot was reserved for keeper David de Gea. While that formula partly remains the same under Ole, the methodology is different. Unlike his predecessor, he does not create his roster out of spite. It’s been discussed on The Busby Babe how Nemanja Matić needs a breather. The Serbian has undertaken the tiresome responsibility of handling the bulk of responsibilities in the midfield, and his performance week by week has suffered because of that. Perhaps his exhaustion stemmed from a misdirection of the manager who signed him three times. Nonetheless, it was obvious Matić was facing his own sophomore slump. In his first match as caretaker, Ole encouraged Matić to play a supporting role for the forwards, applying nonstop pressure on Cardiff’s backline. His strategy paid off, and the former Blue found himself successful in United’s 5-1 triumph without gasping for air as fans are so used to witnessing. One thing Mourinho barely did was start academy players who earned a chance to grace the pitch. In just his fifth match in charge, Ole awarded 19-year-old academy trainee Tahith Chong his first career start. In this action, the messaging is clear from the caretaker: these players are the future and merit the chance to showcase their talent. The impact of Ole Gunnar Solskjaer taking over for José Mourinho cannot be overstated. In less than a month United fans have gone from pessimistically waiting for team news to affirm how dismal the match will be to daydreaming about the next fixture. At least for now, Manchester United Football Club is exciting again.